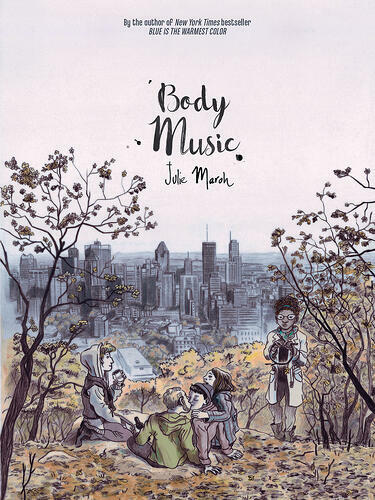 Body Music is the sort of project that's hard to place in one category. It's a series of vignettes, some connected, some not. Some of the stories are romantic, some are decidedly not. Some of the stories are queer, some are straight, some are monogamous, some are polyamorous. Some of the stories are really quite short, a couple meander around a bit. What ties them together? Love. The book opens with a story about two men who've been on a single, not-so-great, date. They're both obsessing about what they could have done differently, how they judged the other man too harshly, and should they call/text. In the end, they both delete the contact from their phones and go on about their solitary existence. A story close to the end of the book is about a middle-aged lesbian couple in bed, listening to the cat meow about breakfast. Through their little bits of dialogue, we learn of their long life together, raising children, and this cat as a birthday present. It's sweet and then very funny. A very "we've been through it all" story. There's a story about a throuple forming, and another about a man visiting two of his friends who are polyamorous and the two men disagreeing about monogamy. In the end, nothing is presented as the one true way, but rather Maroh treats her subjects gently and gives them space to shape their lives and their relationships as they see fit. 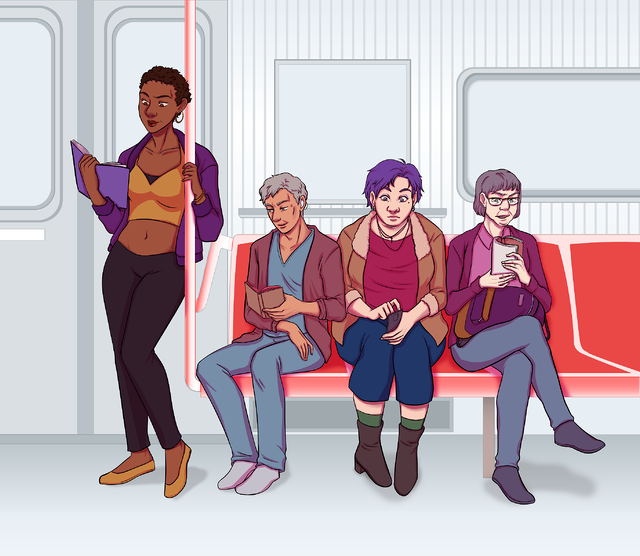 There are trans characters, disabled characters, and a woman who chooses to give her gods her sight in exchange for the man she loves coming back to her. There are stories that end happily, stories that end unhappily, and stories that don't end at all. One early story, which features a mother and her son, is about the mother watching two people in the park below passing each other by. She wonders if you can see a first kiss before it happens. Later in the book, that same mother and son go through the son's father's old cassettes and mourn a love gone by. They dance and remember and laugh. It's sweet and sad and very human. Body Music is beautiful, not so much because it's a groundbreaking work of heartwrenching drama like Blue is the Warmest Color, but because love is beautiful and tragic and wonderful and this book is about all of the ways we experience or don't experience it.